An articulate system of dynamic projections and different layers recreates the city’s skyline and lights where the performance of the parkour’s athletes takes place, while the metropolitan man parades on the central stage. 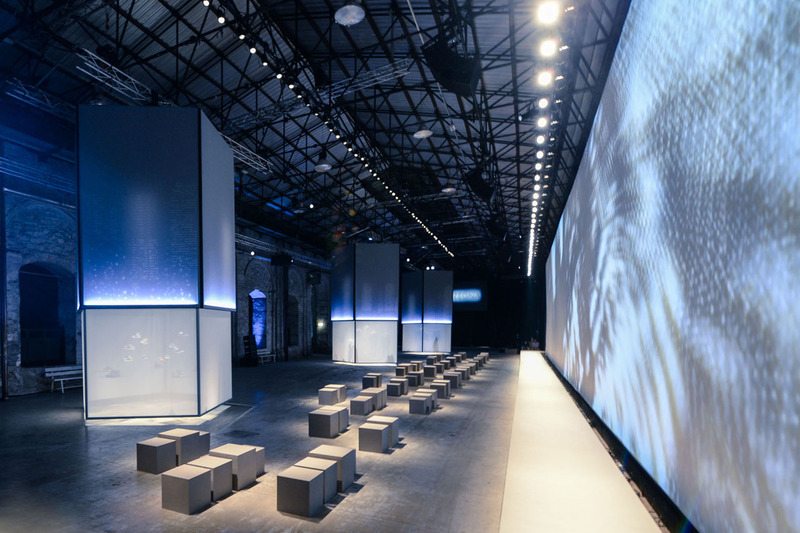 In the wide area where the public is welcomed, 5 high, pentagonal towers, which evoke the logo of the maison, covered by subtle, transparent membranes, open up, revealing the items of the new collection directly to the visitors. 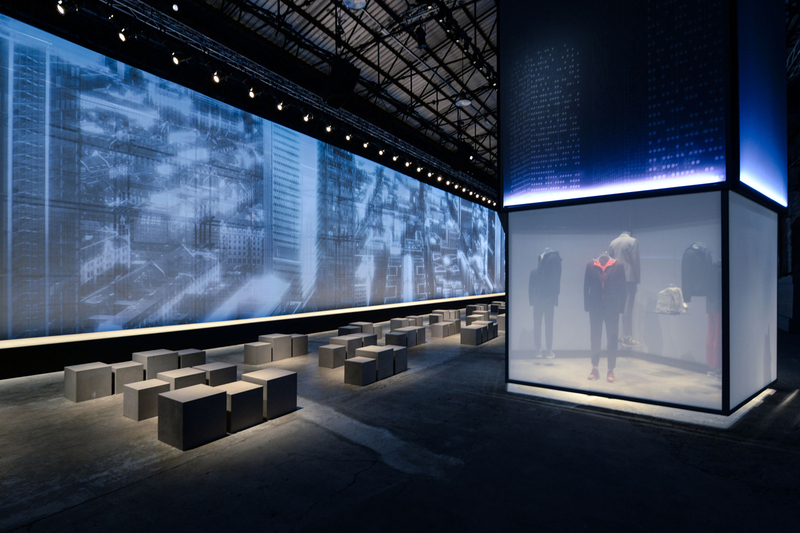 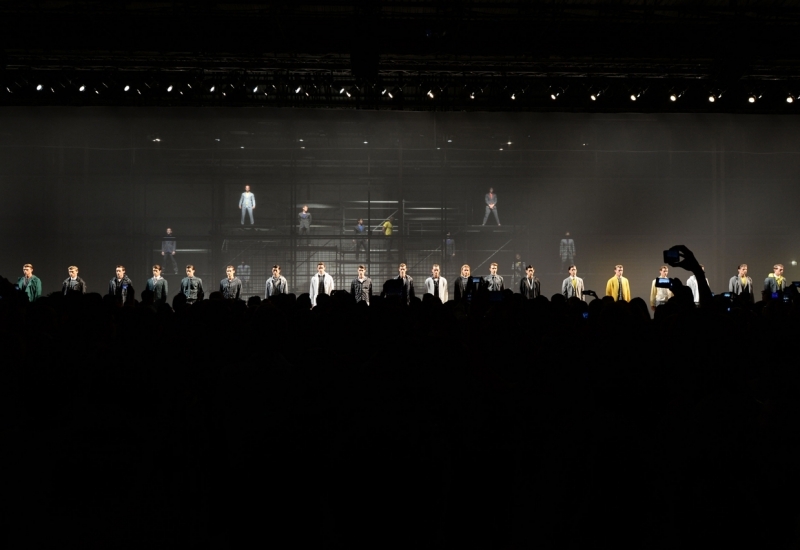 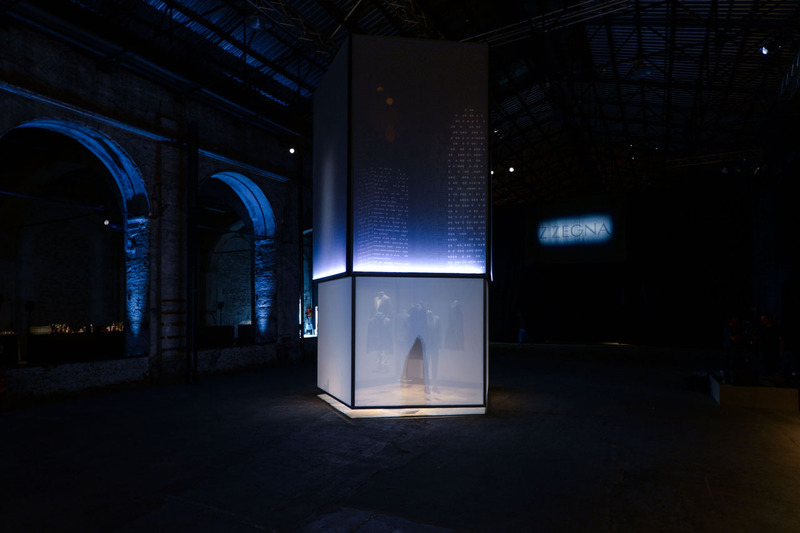 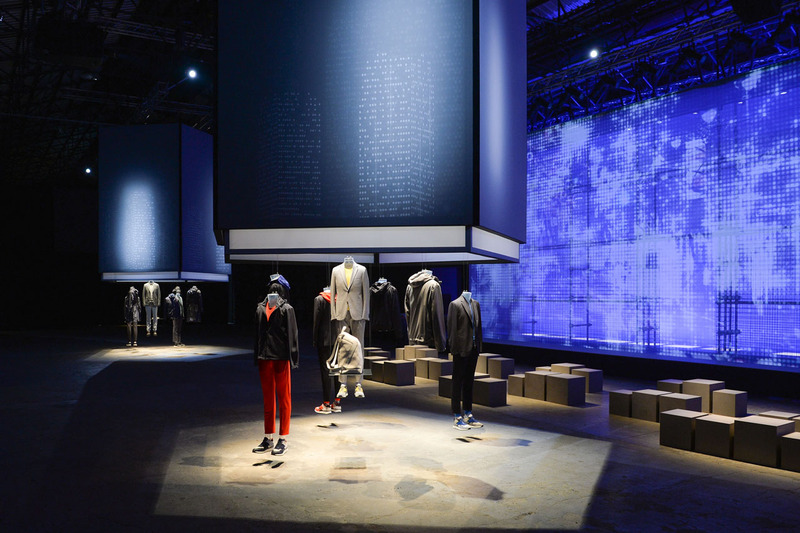 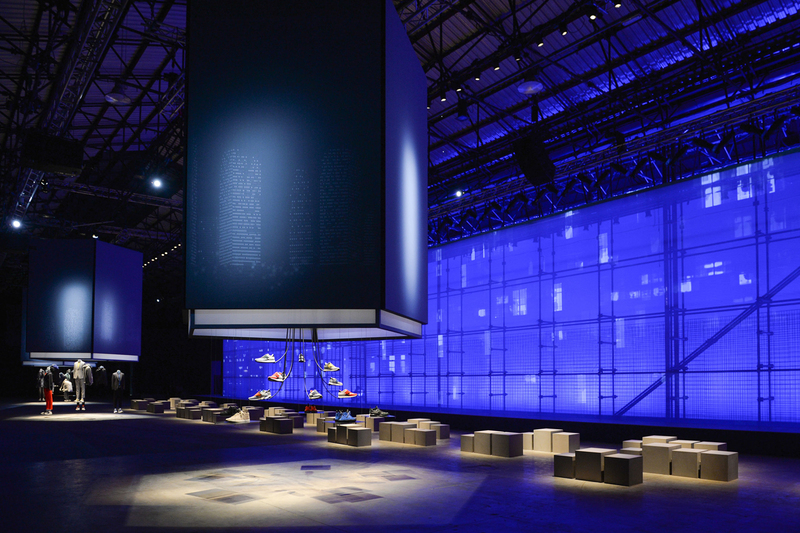 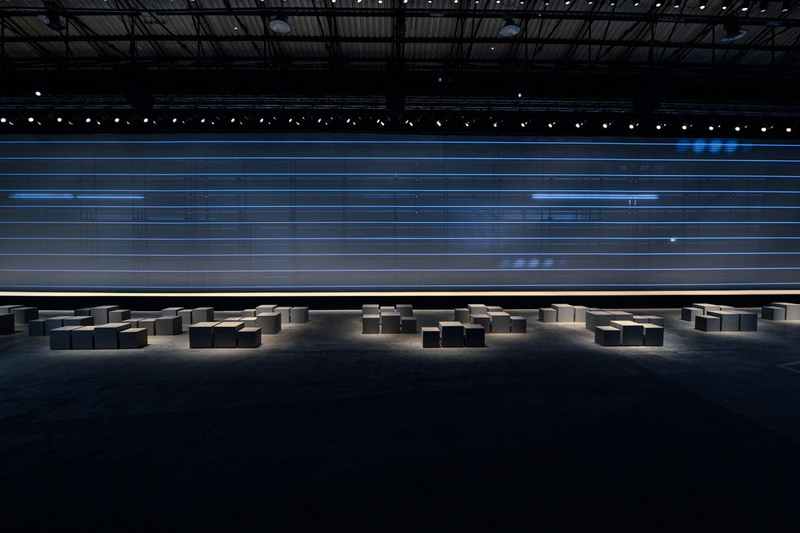 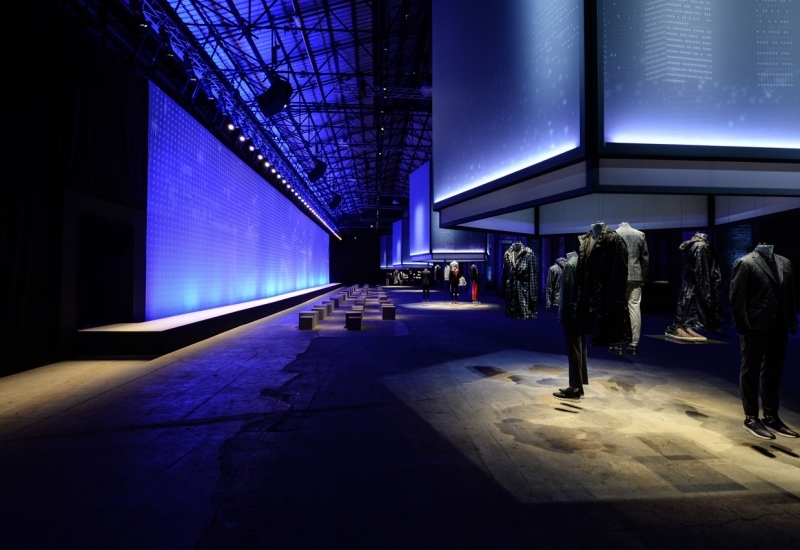 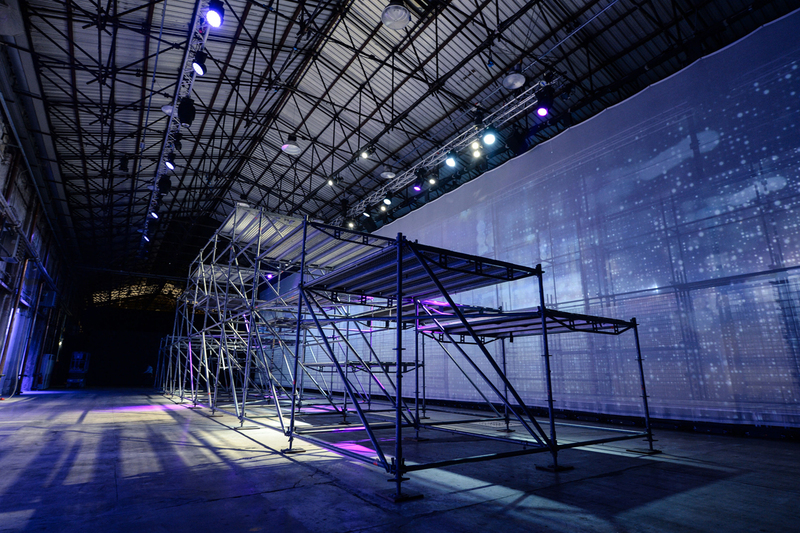 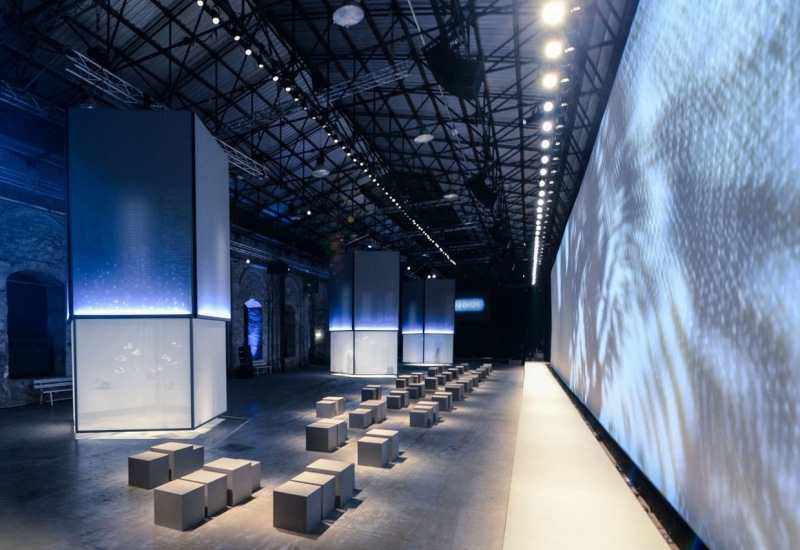 An urban, intangible and soft landscape, which is one with the performance, is the environment defined by the exhibit of Migliore+Servetto Architects for the launch of Ermenegildo Zegna’s new collection at Pitti Immagine Uomo 2014. 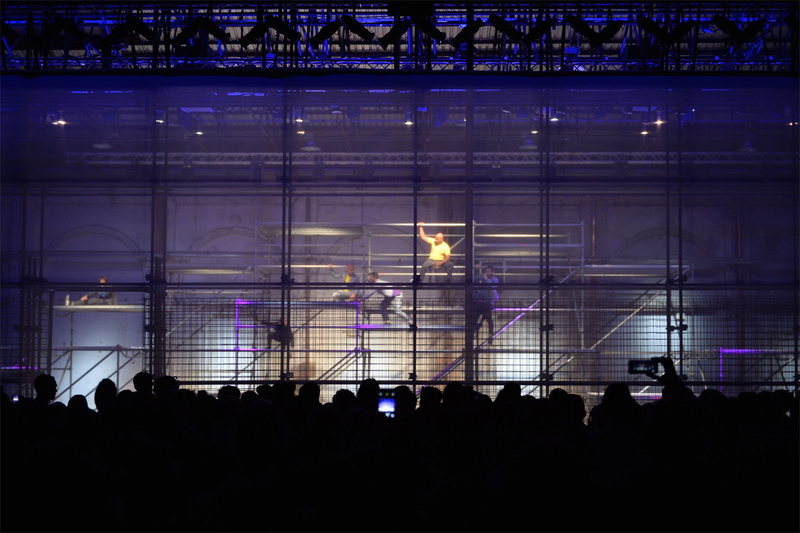 An articulate system of dynamic projections and different layers recreates the city’s skyline and lights where the performance of the parkour’s athletes takes place, while the metropolitan man parades on the central stage. 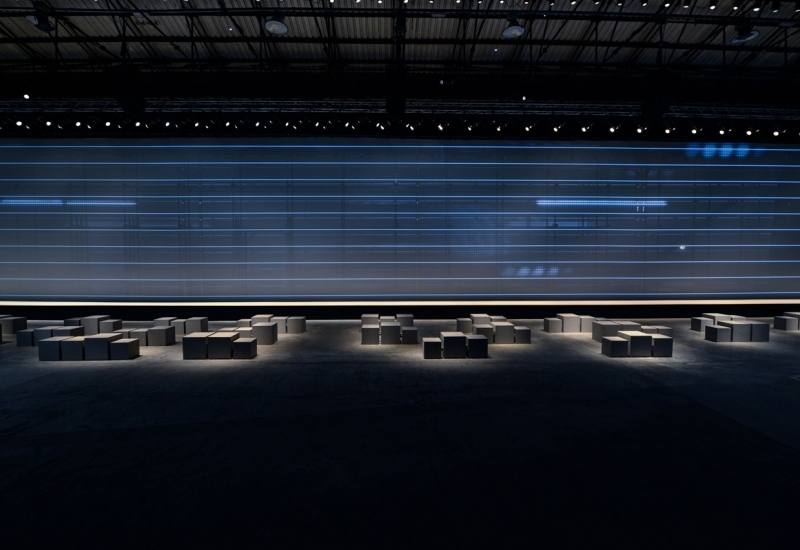 In the wide area where the public is welcomed, 5 high, pentagonal towers, which evoke the logo of the maison, covered by subtle, transparent membranes, open up, revealing the items of the new collection directly to the visitors.